As you start packing away your winter wardrobe and start planning for warm-weather outfits, you might notice some gaps in your closet. 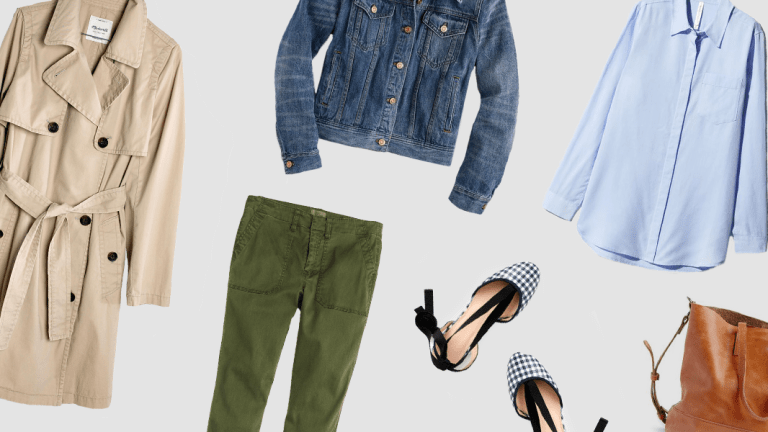 If you’re feeling like you need a tiny refresh as the temperature rises, try adding in a fresh variant of these spring wardrobe staples to get excited for the months ahead. 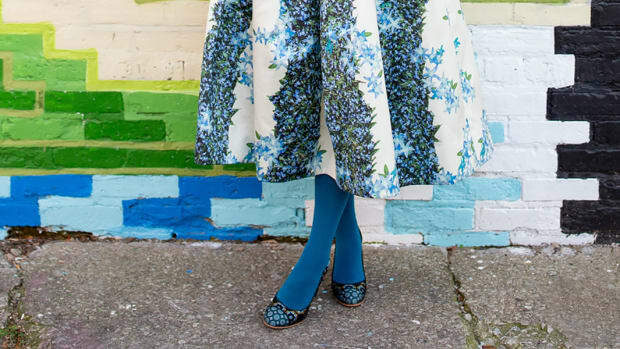 While we may be desperate to frolic about in our flouncy spring dresses, it’s not quite warm enough to go without some outerwear. 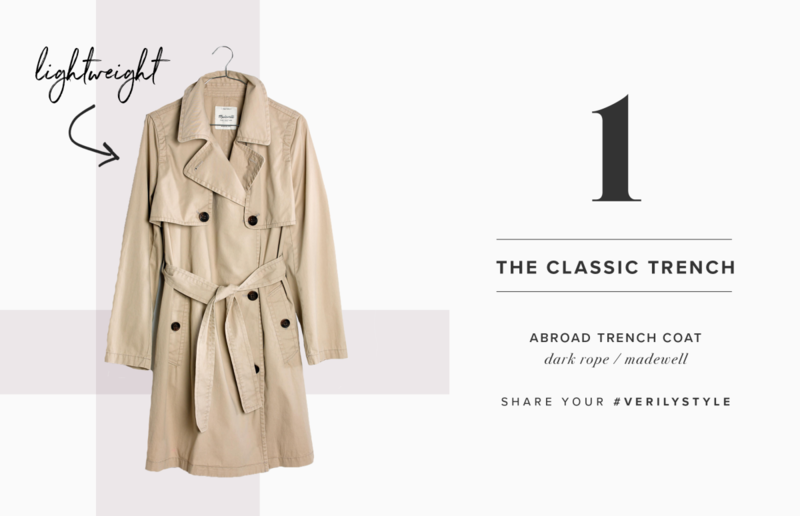 Nobody wants to wear their heavy winter coat with their favorite springtime frock, so go for the trench. It offers the perfect amount of warmth without ruining your look. Plus, it looks great with literally everything. Talk about stretching your wardrobe! Bye bye, long-sleeve turtlenecks; hello, breezy blouses! We’re so ready to pack away our dreary black and gray shirts to welcome a more colorful variety. Nothing expresses the freshness of spring better than a bright baby blue button-down. Also perfect for fluctuating weather, simply adjust the sleeves by rolling them up or down (or piling on an extra layer). 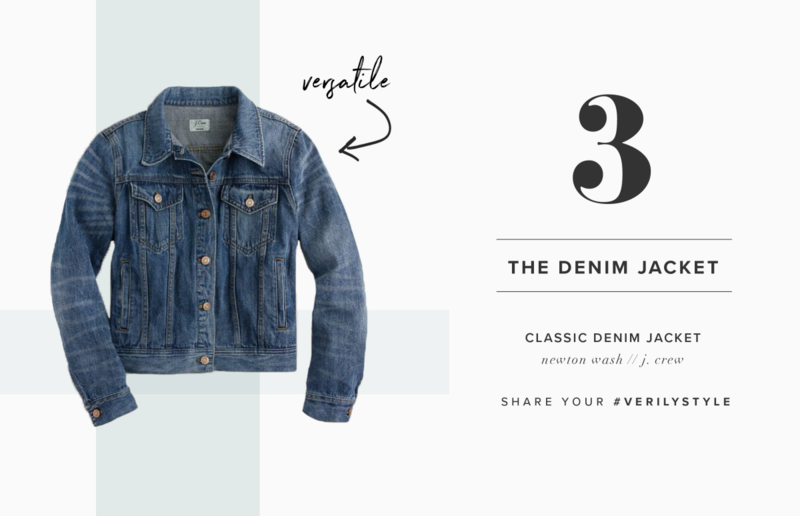 One of our trusty favorites, the denim jacket always has our back—especially during that time when we’re not sure how warm or cold it actually feels outside. Its indigo hues are versatile enough to go with any outfit, but the structure of the jacket offers a more put-together look. This is an item you’ll wear for the next ten years. We’ve been rocking our sturdy jeans all winter, but now it’s time to venture into other pant categories. 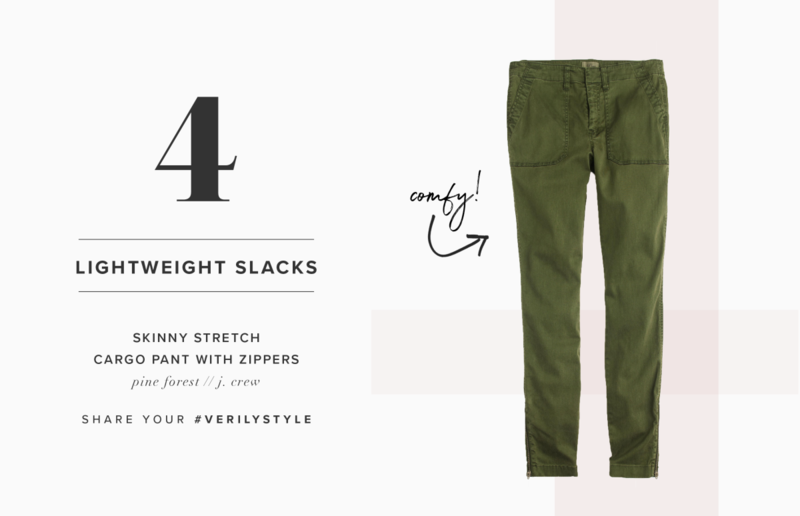 For example, lightweight slacks! We’re also ready to try out some fun colors, such as this on-trend olive green. The earthen tone is versatile enough to wear with almost any color, but it’s also a unique hue that adds a pop of color. 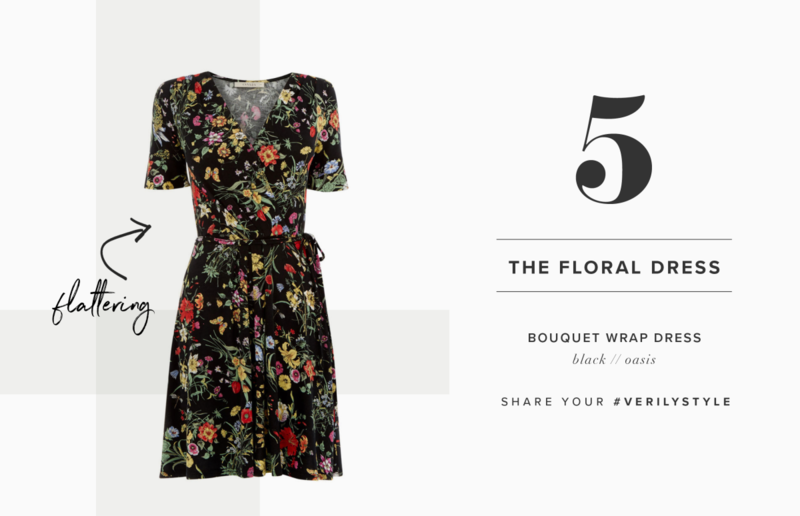 Yes, we know: “Florals for spring? Groundbreaking.” But how could a floral dress not be included? 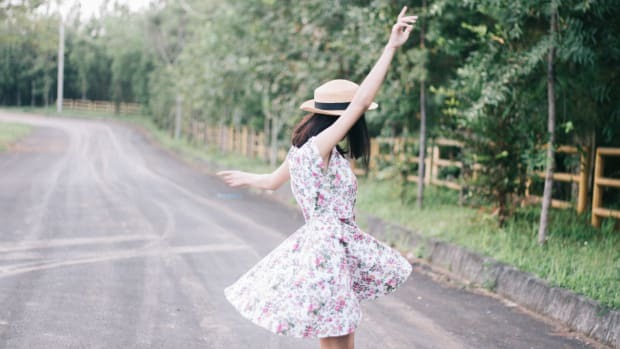 We will embrace floral dresses with the same amount of excitement every spring, so why pretend like we’re not looking forward to rocking some flowery prints? 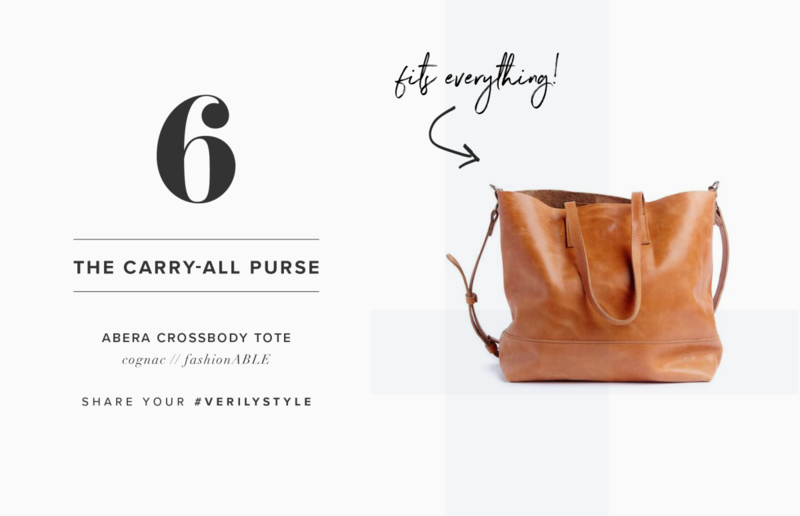 A bag swap definitely helps the wardrobe refresh. Stow your weatherproof purse for next year, and invest in a high-quality bag that will get you through the warmer months ahead. You’d be surprised at how much a new bag can make you feel brand new. 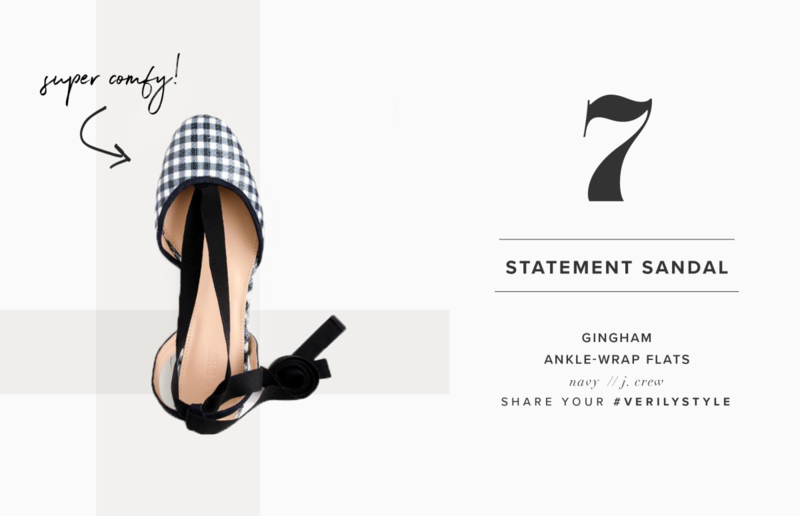 OK, so we’ve been wearing boots for the past nine months, and we’re desperate for some fun footwear. Patterns and ribbons? Yes, please! 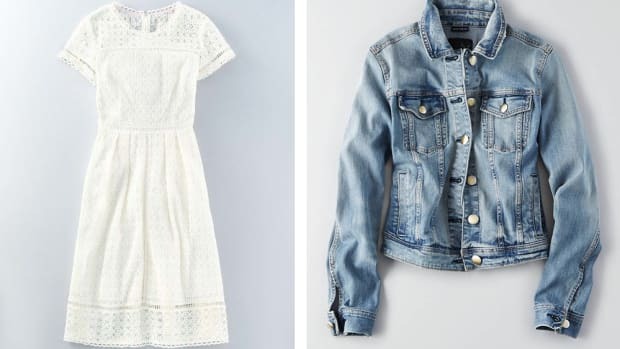 Spring is the time for busting out the cutesy details, so bring it on. 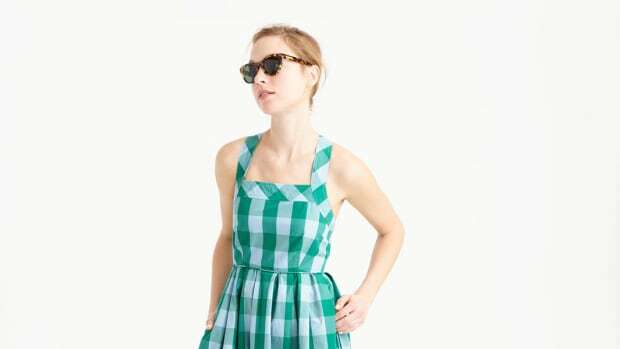 Topping off an outfit with a playful flair of color or print is what the warm-weather months are all about. 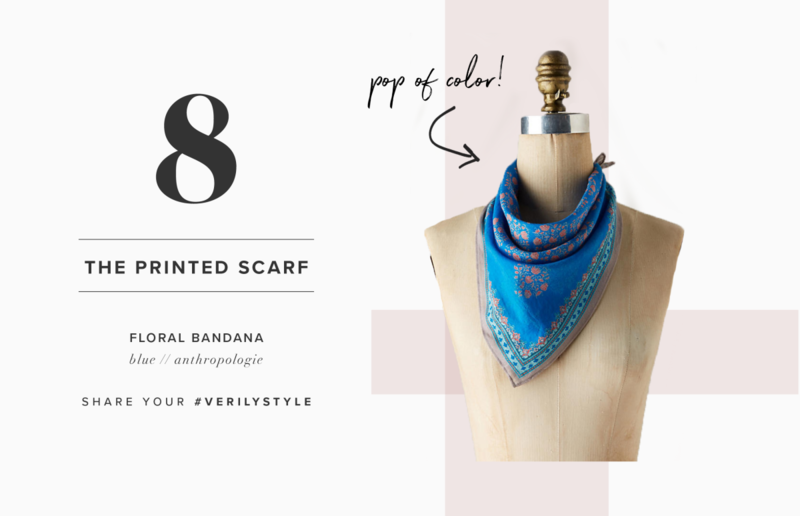 Instead of a long drapey scarf, simply tie a silk handkerchief around your neck for a Parisian-chic appeal.